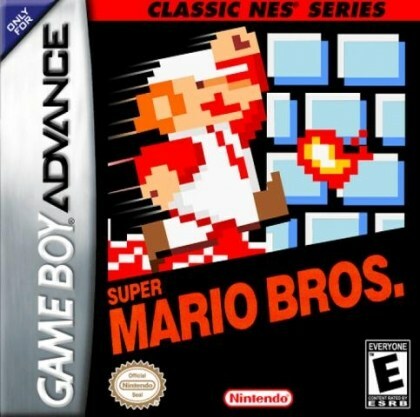 Classic NES – Super Mario Bros.
Classic NES Series: Super Mario Bros. is a Game Boy Advance video game released in 2004. It is a port of the Nintendo Entertainment System classic Super Mario Bros.. While people can play Super Mario Bros. on the GBA in the form of Super Mario Bros. Deluxe, a much more impressive remake of the game that was released on the Game Boy Color five years prior to this game. AdvanceClassic NESClassic NES - Super Mario Bros.gameGame BoyGame Boy AdvanceGameboyGameboy AdvanceromromsSuper Mario Bros.